It is no pastoral idyll that Seamus Heaney conjures up, but rather the toilsome, lethargic greyness of the diurnal. Like Wordsworth, Seamus Heaney can well describe each human being as “a Child of Earth”. For Seamus Heaney, poetry, like the soil, is evidently something to be ploughed and turned over. The poet has little time for the Emerald Isle of the tourist brochures. For him Ireland is first and foremost The Bogland. Heaney sees Ireland’s peat bogs as a symbol of its identity, just as the potato is – with all that this recalls of the suffering during The Great Hunger in the middle of the 19th century. The peat bogs also evoke, in their special way, the feeling of the past. One of Seamus Heaney’s most expressive poems accounts for his experience of the Iron Age Tollund Man, whose body was preserved in a peat bog in Jutland. In his figure Heaney conjures forth, brutally and movingly, a culture that is both alien and familiar, a distinctive subject of ritual sacrifice, human voices silenced by the boggy landscape. The water in the peat bogs, indeed all water, is something Seamus Heaney associates with the feminine, the Gaelic, the Catholic, the creative element in his nature. All this is deeply grounded in the poet’s very being, a childhood preserved – as it were – which has not been overshadowed by his secularised British upbringing or the bitter experiences of The Troubles, the conflict in Ulster. In this context it must be said that Seamus Heaney never reduces reality to a matter of political slogans, he writes about the fates of individuals, of personal friends who have been afflicted by the heedless violence – in the background somewhere there is Dante, who could yoke the political to the transcendental. Heaney also has links with the academic world. He has taught in Belfast and Dublin, he has been Professor of Poetry at Oxford, and since 1982 he has been teaching rhetoric and oratory at Harvard in the United States. Seamus Heaney comes from a humble, farming community, but at the same time we meet in him a learned poet who in the very microcosm of language cultivates and reveals the Celtic, pre-Christian and Catholic literary heritage. He does this in his poetry, and in five collections of eminently readable essays, including The Government of the Tongue (1968), The Place of Writing (1989) and The Redress of Poetry – the volume published this year that contains the lectures he gave at Oxford. In his essays and meditations, Heaney also specifies the poetic turning points which arose from confrontation with some remarkable poets – British, Irish, American and European – not infrequently in the spirit of his compatriot and great predecessor Patrick Kavanagh’s principle: the local can articulate the universal… God is in the bits and pieces of the Everyday. I have just given the audience some “bits and pieces” about reality and symbol in your poems. Let me now remind you of your own Declaration of Independence – Poetry can never be reduced to a political, historical or moral issue. In the final resort poetry is its own reality. Ever since Death of a Naturalist I have admired the way in which you turn your back on the systematisers, to defend instead poetic creativity as a free, natural, biological process. We all admire your revealing and compelling images and rhythms, we are gladdened by your quest for sacred wells and the sudden eruption of Beauty. 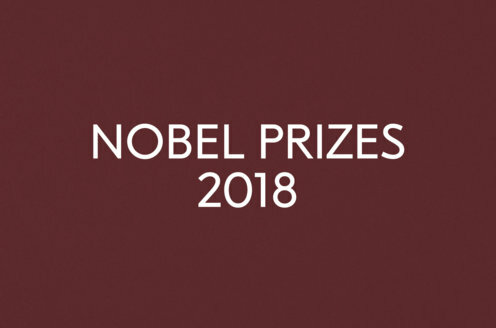 I am happy to convey to you, on behalf of the Swedish Academy, our warmest congratulations on the Nobel Prize in Literature for 1995 and to invite you to receive the Prize from the hands of His Majesty the King.